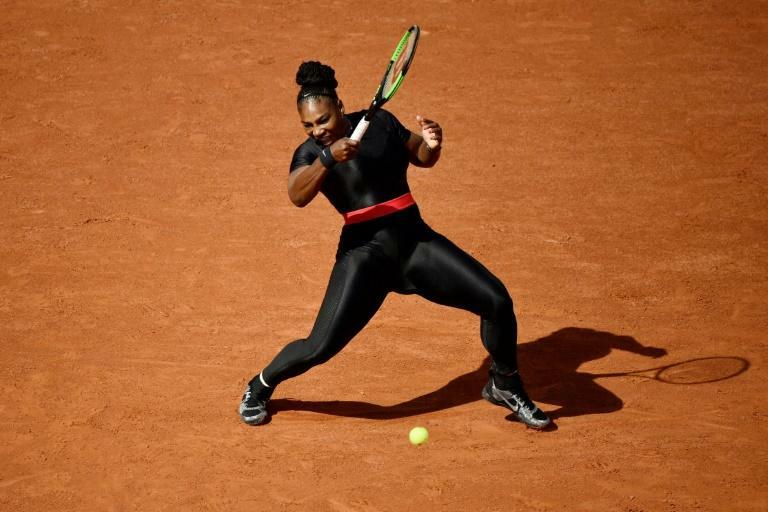 Motherhood has had anything but a mellowing effect on Serena Williams, who arrives at the US Open in pursuit of a record-equalling 24th Grand Slam title. "If anything, I have more fire in my belly," Williams, a six-time US Open winner, said Saturday. "It's very hard to describe. I thought after having a child I would be more relaxed, but I'm not. "I work just as hard, if not harder actually. I feel like I take it just as serious, if not more. That's been really surprising for me." Williams, 36, hasn't won a Grand Slam title since the birth of daughter Olympia last September 1. The difficult delivery was followed by life saving surgery to combat blood clots and Williams missed the Australian Open in January. She withdrew from a scheduled fourth-round clash with Maria Sharapova at the French Open, then roared into the Wimbledon final only to fall to Germany's Angelique Kerber. Since then there's been a shockingly lopsided loss to Johanna Konta in San Jose and a second-round exit in Cincinnati, but Williams said that she's trying not to get down on herself as the breakthrough victory fails to materialize. "It hasn't quite happened," she said. "It's been just really a few months into me playing after having a baby. I feel like I have to be nice to myself. "I feel like I have to just be happy, continue to work hard. I've been working incredibly hard. I feel like it will for sure pay off eventually." Awarded the 17th seeding at the US Open, nine spots above her world ranking, Williams nevertheless faces a daunting path to the second week of the tournament. Up against 60th-ranked Magda Linette of Poland in the first round, she could run into her sister Venus in the third round and world number one Simona Halep in the fourth as she battles in a quarter that also includes two-time Grand Slam champion Garbine Muguruza and eighth-seeded Karolina Pliskova. "I don't know my draw, but I feel like if I want to be the best, I'm going to have to start beating these people anyway," Williams said. Where better than at Flushing Meadows, site of her first Grand Slam title back in 1999, and where her six triumphs are tied for the record with Chris Evert. "Records are meant to be broken. I broke some and people are going to break mine," Evert said. "I would be very happy for Serena to break that record, especially as she is making a comeback after having a child." Evert, now a commentator for ESPN, believes Williams still needs to sharpen up some things -- but she's a contender. "She needs to put in a little more training, get a little quicker around the court, get a few good matches under her belt," Evert said. "If she gets into the second week of the US Open with those matches under her belt she is going to be a favorite for sure." Las Vegas oddsmakers aren't hedging that much, with Williams listed as a 9/2 favorite to win her first US Open title since 2014, according to Vegasinsider.com. "It doesn't matter to me," Williams said of her favorite's status. "I can just continue to strive. That's the message I've been preaching to women and people, that we face obstacles. You have to face those obstacles. Whether you get through them or not, there's always another chance to get through them ... continue to climb that mountain."